Ireland’s largest annual conference for project managers is to be held in Cork for the first time in February. Over 300 delegates from across the country will attend the Ireland Chapter of Project Management Institute’s (PMI) national conference at Fota Island Resort, Cork on 28 February, where TV architect Dermot Bannon will deliver a keynote address. The National Project Management Conference is run by the Ireland Chapter of the Project Management Institute (PMI) — the largest professional body in the world for project managers. This annual event is happening in Cork this year, on February 28 in Fota island Resort and has a very diverse and interesting line-up. The Conference has been running for over 10 years now. 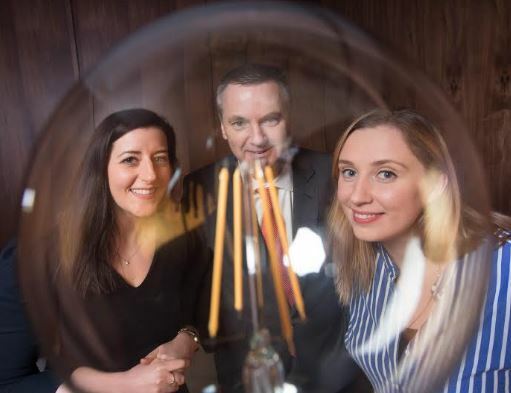 This is the first time that it’s being held in Cork, in recognition of the increased number and the value of projects being managed in the Munster region. Ireland has a huge reputation internationally for the ability to manage complex projects and deliver on time. The Ireland Chapter of PMI decided to run an annual event that sought out interesting projects and new techniques that could be shared with the broader project management community here. As the role of the project manager has become more and more pervasive, we have seen attendance grow and it has become a major event on the annual calendar. The theme of the 2019 Conference is From Idea to Reality. The role of the project manager is usually not coming up with the initial idea, but to find a way so that the initial idea can be turned into a reality. That means careful planning, avoiding all the pitfalls that will occur, convincing other people to go along with the idea and help deliver the project, all the while managing the quality, the resources, the schedule and delivering within budget. Our speakers will share fascinating tips on each aspect. At the conference on February 28, there is both the opportunity to hear from Irish and world experts, and the opportunity to network with like-minded individuals from a variety of different industries to learn about new trends and catch up with old acquaintances. As a special extra to mark coming to Cork, we are also holding a dinner celebration and networking event on the previous evening, Wednesday, February 27, where conference attendees can wine and dine with a mixture of speakers and officers of the PMI for a relaxed and informal event. The MC for the conference proceedings is Barry Murphy of Après Match fame, and Barry will also regale us after dinner on the evening of the 27th. It promises to be a great occasion. We always try to have a variety of diverse speakers as a way to showcase how project management skills apply everywhere you look. Celebrity architect Dermot Bannon will share his secrets on how to win over reluctant stakeholders, managing their expectations to stick with the project and ultimately deliver a great project. Dermot will also get involved in an audience Q&A where we will give project managers a chance to pin him down… hopefully people will save their questions about their attic conversions until the coffee break! Aoibheann O’Brien is a co-founder of FoodCloud — the company that takes excess food from supermarkets and restaurants and delivers it to those in need. Aoibheann’s story is really interesting because, while everyone can empathise with the positive intent behind their initiative, her experience was initially of failure, how can you feed a family on 10 heads of lettuce? Instead Foodcloud had to figure out how to manage resources better — how to get their supply chain set up and reallocate resources to balance their supply and demand. These are all core project management skills, so Aoibheann will be taking us through her journey of discovering and applying PM skills to help feed the world. The PMI was founded 50 years ago this year by five people in the USA, and went on to define the profession of project management. One of those five was Jim Snyder and we are thrilled that he will make his first visit to Ireland to speak at our conference. His initial idea was to get one thousand people interested. The reality today is that the PMI has a contact base of over three million people. Yvonne O’Byrne is a player on the victorious Ireland hockey team that reached the World Cup Final in 2018, coming home with the silver medal. Yvonne will share the fascinating story of a team that had been written off, and that had to create a positive mind-set and unique team environment. Many people aspire to reach the pinnacle of elite sports, but Yvonne and her colleagues made that dream become reality, and we couldn’t be more proud of them. Project Managers always want to learn about disruptive technology. Danny Curran is Director of Growth with Aid:Tech, which uses Blockchain in an incredibly practical way. If you have a vague awareness of Blockchain, but don’t know how it is set to transform our business world, you will come away from Danny’s talk with your eyes wide open. Walter Bradley is the MD of the Dale Carnegie Ireland. Dale Carnegie was most famous for his book How to Win Friends and Influence People and of course for project managers, the ability to influence stakeholders is a critical skill. Sometimes that means saying ‘no’ in a way that keeps everybody on board and engaged. Walter will run a live workshop where he teaches us all to ‘agreeably disagree’. First, reserve a place at www.projectireland.ie. Our last event was over-subscribed, and we expect the same this time. Secondly, I would encourage people to also register to attend the networking meal on the Wednesday night — you’ll get access to many of the speakers and the thought leaders of project management. Thirdly go visit the sponsor stands at the event. We have a number of excellent sponsors — headlines EY and Microsoft along with Grant Thornton, Cora Systems, Aspira, CIT and Alpha Wealth. Lucky attendees who visit all the sponsor stands are included in a draw with some great prizes! For people based in Dublin and surrounding regions, we are aware that it is a longer trip to Fota Island than it is to the Aviva Stadium (our usual location) so I encourage them to make a trip of it by staying in the beautiful Fota Island Resort. Enjoy the meal and socialising on Wednesday night, and then attend the conference on Thursday in the same location. It will make a wonderful change from the Dublin daily commute. You can book tickets at www.projectireland.ie and the early Bird Rate runs through January. We expect the last tickets to be sold two or three weeks before the event. Last year’s event had phenomenal feedback and it is a great opportunity for people in the Munster region to attend a national conference in their own back yard.